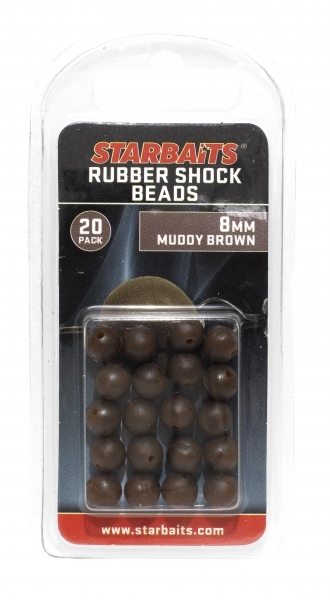 Starbaits 8mm Rubber Stocker Beads are perfect for the Texan and Carolinian Rigs, the 8mm drilled beads slide down the main line to not only protect the knot but to also give you that added bit of extra sound the really get the fishing biting. Use in conjunction with ILLEX Bullet Tungsten Weights. 20 beads per pack and available in 3 colours Green, Gravel and Brown.